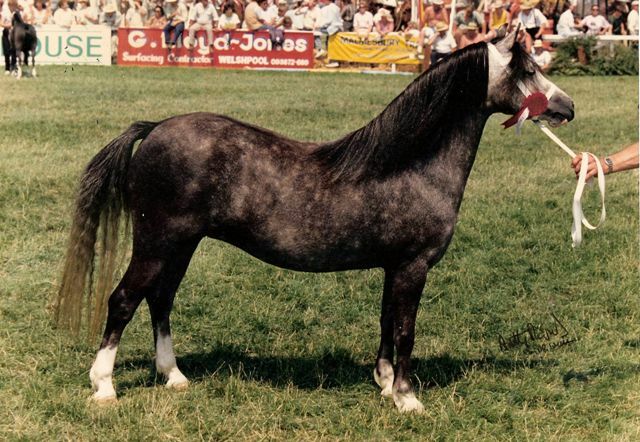 The Welsh connection began when Taliaris Granite was purchased by Jenny Kilbey from a sale in Norfolk in the late seventies and was successfully shown as a youngster and stallion. 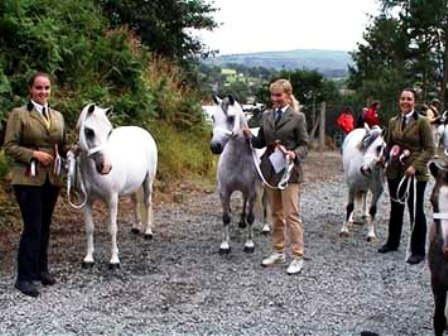 The foundation mares Knodishall Pandora, Foxhunter Swci and Coed Coch Nodedig were bought and they began breeding following the old Coed Coch blood lines. The Idyllic Stud was founded in 1981 on the outskirts of Newmarket and was named after Idyllic Glen a racehorse belonging to Norman Birkenhead. The real turning point came in 1984 with a visit to the Pendock Stud to look for a colt to show and then sell on. Pendock Legend was never large in stature and had been overlooked by a few people, however something about him caught the eye of Jenny and Norman and after a very reasonable price was agreed he returned to the stud for his originally short planned stay!! Legend�s showing career began well with a few wins as yearling and by the time he was two years old it was becoming obvious that there was something a little special about him. By July 1986 he was on his way to the Royal Welsh and after winning the two year old colt class and being reserve male and reserve Youngstock champion the original plan to sell him on were soon forgotten. Legend had already began his covering duties with a couple of mares as a two year old and the following year Knodishall Pandora gave the stud a filly foal called Idyllic Pavlova who went on to be Female Champion and Reserve Section A Champion at the 1990 Royal Welsh- not a bad start for his first crop of foals! The combination between Legend and Pandora continued, Markova was born 1988, Giselle 1989, Pirouette 1990, Prima Donna 1991, Nijinsky 1993, Privalova 1994, Fonteyn 1995 Nureyev 1996.As the stud was also a business unfortunately all were sold at some point however in the last few years Privalova, Fonteyn and Prima Donna have all returned. 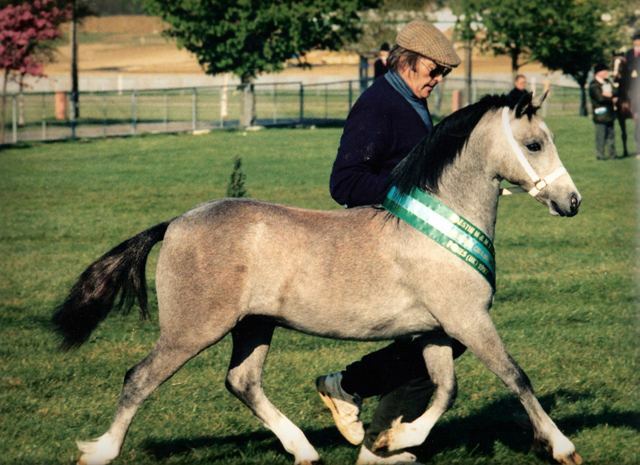 The stud owes all its success to Legend because he continuously produced some of the country's top Welsh Mountain pony stock in-hand, ridden and driven, being the sire, grandsire and great grandsire to many of Idyllic stud's countless champions. 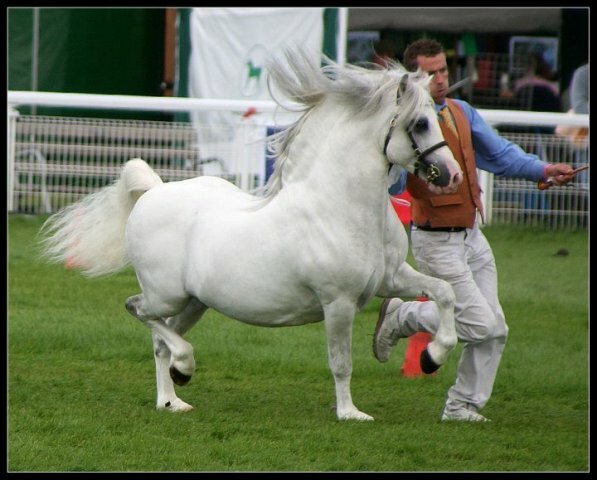 Legend won the WPCS sire ratings in 1997, 2003 and jointly with Blackhill Picalo in 2004 and has rarely been out of the top three in the last twelve years and by 2005 he had been top sire for Eastern Welsh for a record tenth time apart from when he was second to his stable mate Taliaris Granite. 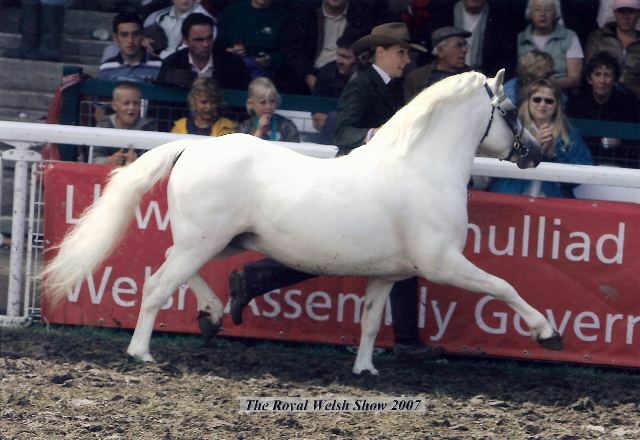 He was also Progeny Champion at the Royal Welsh in 2000 and 2002 and then Champion sire at the 2003 and 2005 Royal Welsh by gaining the most points throughout the show from his stock. IDYLLIC TOSCA , IDYLLIC FONTEYN , IDYLLIC LADY IN RED. 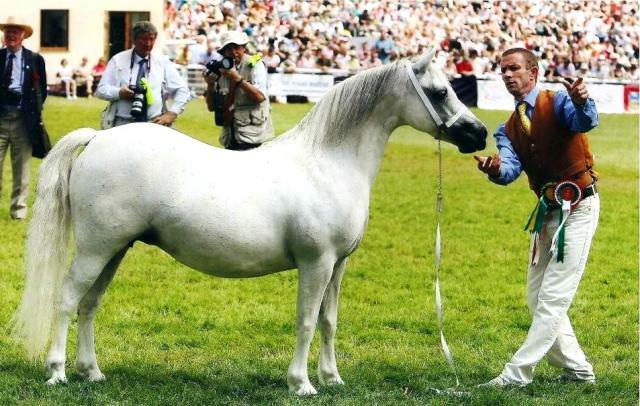 He was only lightly shown throughout his life but still with much success, including Reserve Section A Champion at the Welsh International Show in 1992 and in addition many Supreme titles. 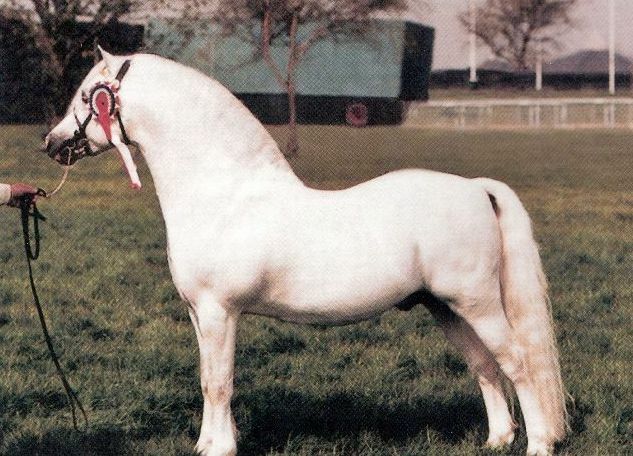 Sadly Legend passed away in 2004 and will be missed forever but his name and blood will always be the backbone for the stud and he will surely go down in history as one of the greatest section A stallions of all time. Returning to the Pandora line, Nureyev was sold in 1996 as a foal and was purchased by the Ireland family; he then stayed at Idyllic to be produced with much success being unbeaten as a foal and yearling. 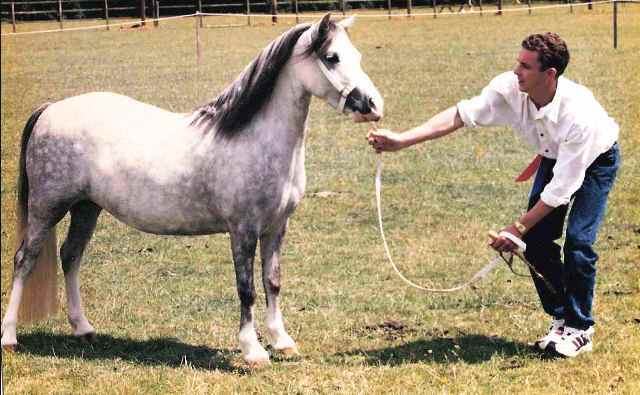 Nureyev was the pony that brought Mark and Liz together, and while Jenny and Norman were producing many ponies at the highest level, Mark and Liz were slowly starting to build a second part to the stud in Essex at Peter and Lesley�s, Liz�s parents, and with their help they continued to breed and show the homebred ponies. Mark and Liz married in 2002 and Idyllic Entrepreneur was given by Jenny and Norman as a present. At the time Legend was still covering mares and a replacement had still yet to come. Fortunately Entrepreneur seemed to be the one and in 2003 he travelled home from the Royal Welsh after winning the three year old Colt class, Youngstock Championship and Reserve Male Championship. 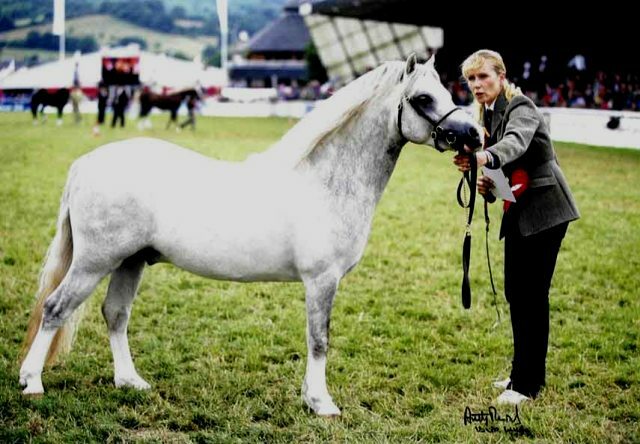 In 2005 Mark and Liz took Fonteyn to the Royal Welsh and Jenny and Norman finally achieved their dream of breeding the Royal Welsh section A Champion. 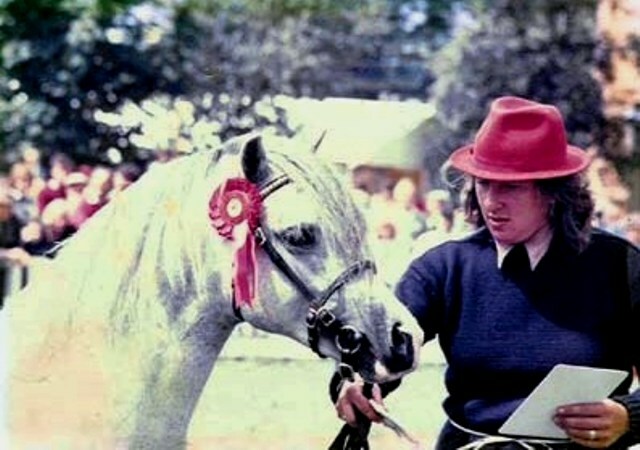 Fonteyn won a strong senior Broodmare class and judge Wyn Jones then awarded her the Female Championship and Overall section Champion out of over 700 entries, still the highest number of ponies ever entered in one section at the show. 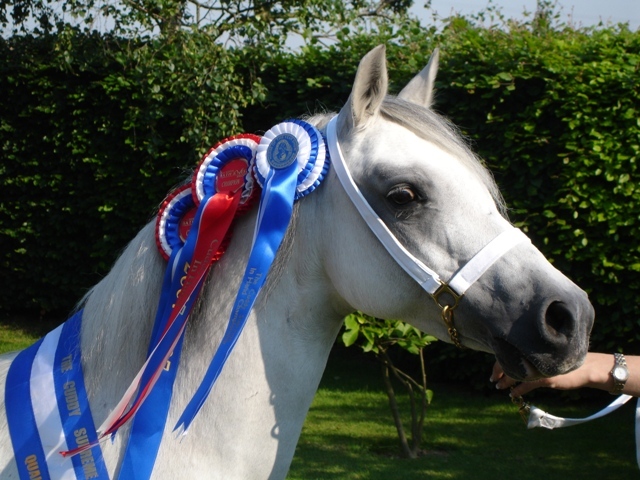 2007 brought the long awaited Cuddy qualification, as the stud had been reserve in qualifiers many times both with clients and the studs� own ponies. Fonteyn finally got her ticket to HOYS at Bath and West after going one better than in 2006 when she was Reserve Supreme, and just five weeks later Entrepreneur also qualified at the Royal Show. 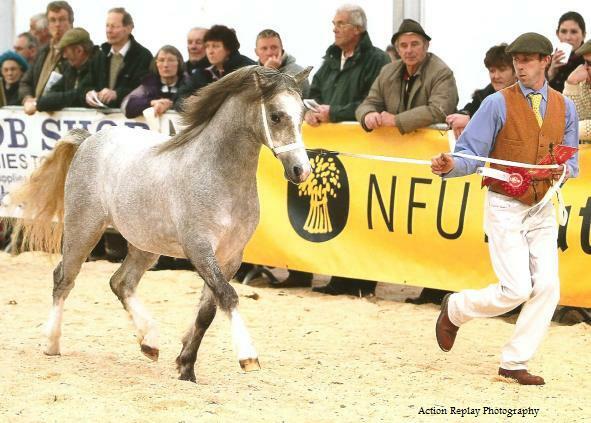 Both had won Cuddy qualifiers with over twenty horses and ponies of the highest standard, this is believed to be the first time a Welsh stud has qualified two homebred ponies for the HOYS in hand final in the same year. Thirteen came forward for the pony section with Fonteyn third and Entrepreneur fifth. 2009 again brought major success for the stud at the Royal Welsh this time with Springlane pebbles, winner of her Yearling filly class in 2000 and Third in the Senior Broodmares in 2007 she won the barren mares and went on to be Female Champion and overall section A Champion, this year with the added bonus of receiving the Queens Cup. With nearly all the mare's at Idyllic being daughters or granddaughters to Legend, the time has come for an outcross stallion to be used within the breeding, we now have two new stallions at the stud, Weston Lady Killer by Cwmhendy Buster out of Weston Pretty Polly who was purchased at the 2007 Fayre oaks sale as a foal and Lacy Buzbee by Blackhill Picalo out of Lacy Little Be who also came from Fayre oaks in 2009. Buzbee came to Idyllic with only stud duties in mind, however at the beginning of the 2010 season we decided to show him at Towerlands stallion show where he ended the day Supreme Champion, throughout the year he was also Champion at Suffolk County, South of England, Lincoln County and Northleach, his last show was at Ponies UK where over three days he became Glyn Greenwood Champion, Section A Champion, M&M Champion, Reserve Cuddy Champion and overall Supreme Champion. 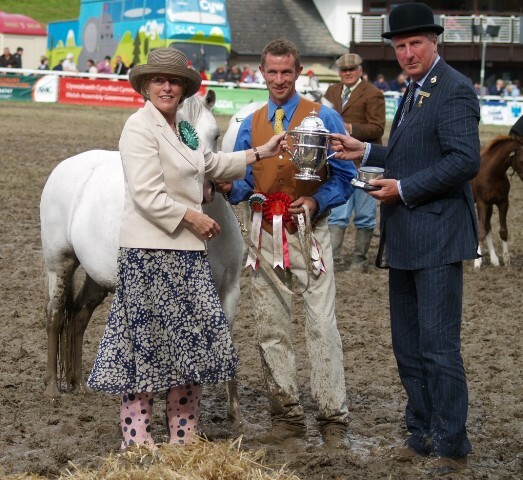 The highlight of our 2011 season was at the 17th Welsh International show held on the Royal Welsh show ground, the first time this show had been held in wales. Once again Buzbee did us proud by winning the senior stallion class and then going on to be Section A Champion under Judges Julie Perrins (Heaton Stud) & Anita Aerts (Voermanhof Stud, Belgium). He then went on to take the overall Adult Championship & Supreme Championship after receiving a perfect score of 10 from six of the ten judges !! Also on our first visit to the Royal Welsh Winter Fair, Idyllic Vienna won the Yearling Filly class and was Reserve Section Champion. 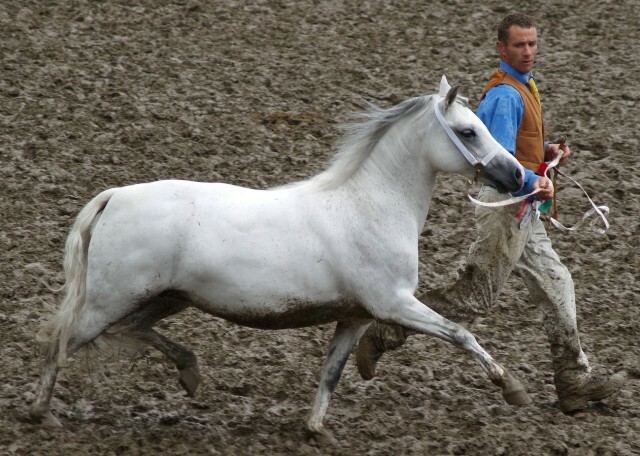 The most important thing at Idyllic is, and will always be action and we take great pride in the way our ponies look and perform in the ring. With the stud approaching its thirtieth year and now having over twenty mares & fillies and ten colts the future will hopefully continue to be successful in both breeding and showing this wonderful Legend line of Welsh mountain ponies�. 1989:- Pavlova 3rd 2 yr old Fillies. 1990:- Pavlova 1st 3 yr old Fillies, Youngstock Champion, Female champion, Reserve Section A. 1996:- Craklin Rose 2nd 2 yr old Fillies. 1999:- Etiquette 1st Yearling Fillies. 1999:- Chanel 1st Junior Broodmares . 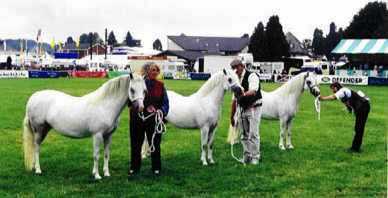 2000:- Tosca 2nd Barren mares. 2002:- Fonteyn 3rd Barren mares. 2002:- Lady in Red 3rd 3 yr old Fillies. 2003:- Entrepreneur 1st 3 yr old Colts, Youngstock Champion, Reserve Male Champion. 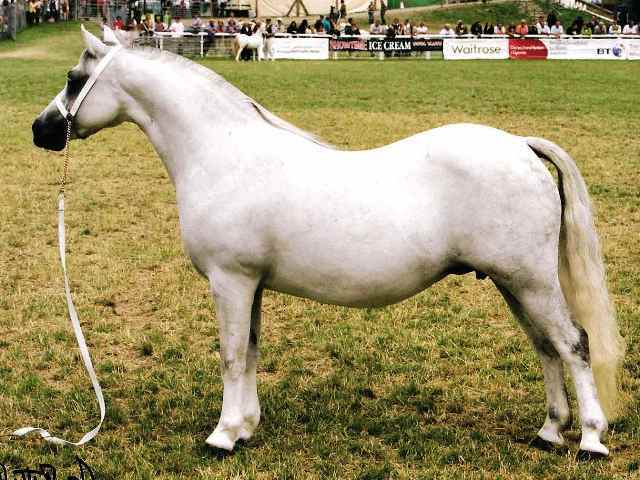 2003:- Tosca 1st Senior Broodmares, Reserve Female Champion. 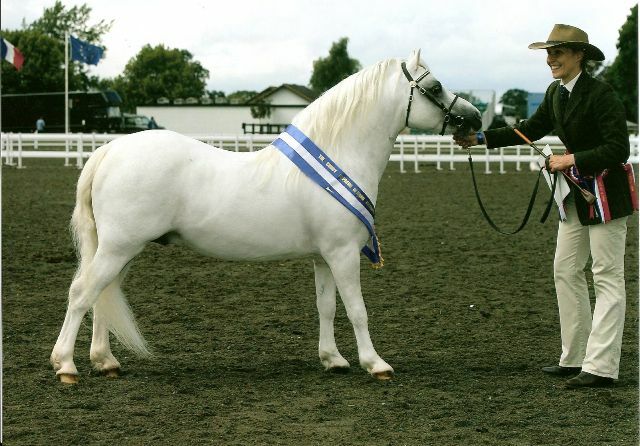 2003:- Privalova 2nd Barren mares. 2004:- Fonteyn 3rd Senior Broodmares. 2005:- Fonteyn 1st Senior Broodmares, Female Champion, Section A Champion. 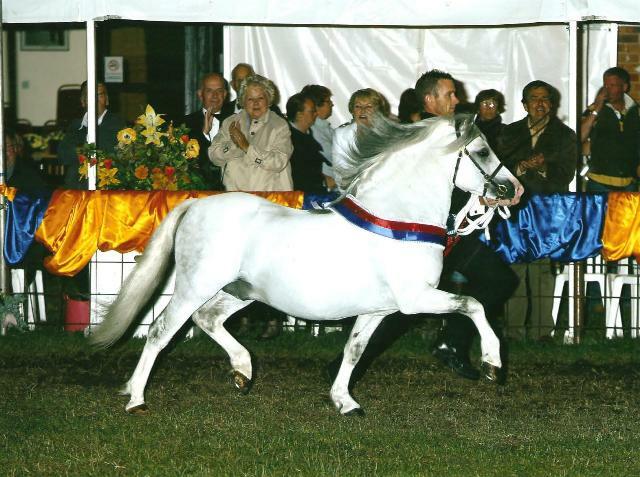 2007:- Entrepreneur 1st Junior Stallions, Reserve Male Champion. 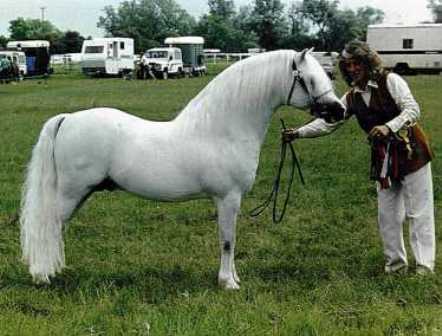 2008 :- Fonteyn 1st Senior Broodmares, Female Champion, Reserve Section A Champion. 2008 :- Angel of Music 2nd 2 yr old Fillies. 2008 :- Vanquish 2nd 2 yr old Colts. 2009 :- Angel of Music 3rd 3 yr old Fillies. 2012 :- Chantilly Lace 2nd Barren Mares. 2012 :- Vienna 3rd 2 yr old Fillies. 2013 :- Guinevere 2nd 2 yr old Fillies.